City Council rescinds new code of ethics, new one to come in March? 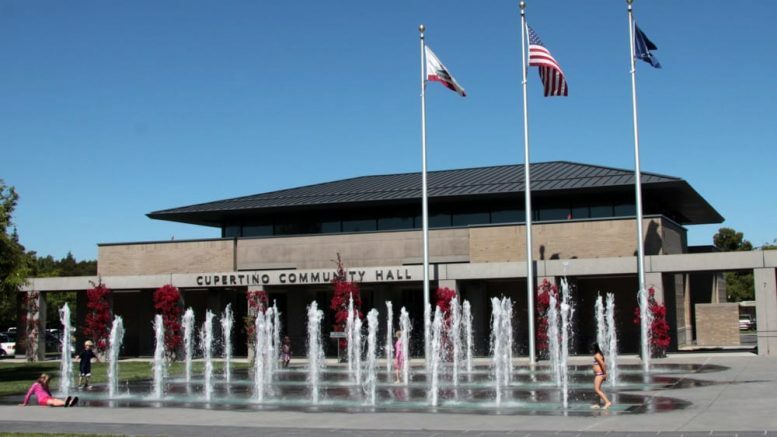 In one of their first actions as a body, the new Cupertino City Council has surprisingly rescinded its code of ethics and conduct. In a 3-2 vote on Jan. 15, the council killed the code, which was crafted by city staff over the better part of last year and had been adopted by the council on Nov. 20 as part of an effort to better communicate with the City’s 10 commissions and to clarify circumstances surrounding conflicts of interest. The council is now on record saying a new code of ethics is in the works and could be adopted in March. But their premature action raises questions about why it was important to this new council for ridding itself of the code. What did the council have to say about its rationale for killing the code of ethics so quickly? Some council members said that while having a code is a good thing, the one adopted in November was hastily approved and did not contain input from the community and people serving on City commissions. The code had also been approved before Councilmembers Jon Willey and Liang Chao joined the council, notably by Steven Scharf and Darcy Paul, who in an apparent change of heart now voted to rescind it. But some residents believe it may have been the code’s conflict of interest guidelines – which had set a higher standard for council members’ conduct than the statewide “personal financial benefit” standard established by the California Fair Political Practices Commission – that motivated the current council to act. The council’s vote comes as Vallco Mall owner, Sand Hill Property Company, alleges that three City Council members might have conflicts of interest regarding their ability to stay impartial on matters involving the mall property, specifically their ability to influence the City’s handling of litigation brought by community groups with which they have been known to affiliate. The developer’s legal team has submitted multiple letters to the City in recent weeks recommending that some council members recuse themselves from Vallco matters on ethical grounds due to affiliations with anti-Vallco group, Better Cupertino. The letters call out Mayor Scharf, Willey and Chao. It is unclear if these letters rely on the code of ethics in place or other law governing instances of decision-maker bias, or if they are based on the FPPC’s review of the proximity of council members’ property to Vallco or its investigation into the coordination that occurred between the Better Cupertino political action committee and candidates Chao and Willey. Scharf said during the meeting that Chao recused herself from two items in closed session “out of an abundance of caution” pending further advice from the City’s outside legal counsel and the FPPC regarding a potential conflict related to Chao living within 939 feet away of the Vallco Mall property. Interestingly, the erstwhile code of ethics required councilmembers to recuse while the FPPC is considering a City request for guidance on potential issues of conflict. Scharf also recused himself “out of an abundance of caution” from a matter involving litigation from 2016 related to Measure C, even though he stated he is no longer a plaintiff in that case. Considering the meeting started with the council reporting out several conflicts of members from the closed session meeting, and in a City where closed session meetings are greatly outpacing open ones, one would think having a formal code in place similar to neighboring cities would be a worthwhile thing. Some council members conceded that rescinding the code was probably poor optics for the council, but a more transparent process for crafting a new one could yield a better code. The Council is still bound by FPPC rules. “The optics are not what they appear to be,” Mayor Scharf said, aptly describing the situation. Council members Rod Sinks and Willey voted on Jan. 15 to retain the code and questioned why it should be rescinded while another is being crafted. “We would be better off in terms of how the public views us to retain what we have until we got something better,” Sinks said. The Council said greater input from commissioners and residents will be gathered as the new code of ethics is created. Study sessions are planned. Click here to read the rescinded code of ethics. Be the first to comment on "City Council rescinds new code of ethics, new one to come in March?"